Commonly known as the Dolphin Coast due to the frequent sightings of bottle-nose dolphins playing in the warm Indian Ocean, Ballito North Coast of KwaZulu Natal is one of South Africa's most popular holiday spots. Only a 30 minute drive from Durban Beachfront, the Ballito, Dolphin Coast is sprinkled with the pretty coastal towns of Thompsons Bay, North Coast Salt Rock, North Coast, Sheffield Beach, Dolphin Coast, Zimbali, Westbrook Beach and Tinley Manor - each with a relaxed 'resort like' atmosphere. The charming combination of the glorious area of Ballito beaches set alongside fields of sugarcane makes for a delightful year round destination, guaranteed to be filled with lazy sunny days, excellent fishing, diving and perfect swimming and North Coast surfing conditions. For the serious North Coast surfer, the Mr Price Pro surfing competition, held every June, is one of the worlds longest running international surfing competitions. Although the Natal North Coast is renowned for its endless beaches and breathtaking scenery, it is the place where the great Zulu King Shaka is buried, and Shaka's grave forms part of the local Zulu Heritage Route, which takes in numerous sites associated with his reign. Further the voyage of discovery on the 'Muti' (African medicine) trail in the Harold Johnson Nature Reserve, where the nature lover can enjoy the reserve's walking trails along the banks of the Tugela River. This North Coast reserve is a wonderful combination of natural beauty and historical interest, where one can view a small variety of game and a large variety of bird life. Visit Africa as it was, tranquil, mysterious and timeless at Crocodile Creek in Ballito, which is home to 9000 crocodiles, snakes, tortoise, leguaans, miniature monkeys and alligators. The Ballito Crocodile Creek farm includes bush and hill trails, curios and refreshments. The Dolphin Coast Ballito also offers endless other activities - tennis and squash courts, bowling greens and well equipped fitness centres are available in Ballito . Horse riding, hot air ballooning, Ballito microlight flights and shark diving are some of the more adventurous activities in the Ballito area. Superb KZN North Coast golfing can be found at the Ballito, Umhlali Country Club, Zimbali Golf Estate, Prince's Grant Golf Estate and Mount Edgecombe Golf Estate. The warm humid almost year-round weather makes for wonderful patio dining in your Ballito accommodation, or try one of the many fabulous Ballito restaurants specializing in fresh seafood. For 'shopaholics' there are shopping centres such as Ballito Lifestyle Centre, and nearby Salt Rock's Tiffany Shopping Centre with specialist stores open 7 days a week. Then regain your peace of mind by indulging yourself at one of the Ballito spa's, who practise both ancient, exotic and new cutting-edge treatments. Outside the domestic holiday season and long-weekends, many of the Dolphin Coast towns are quiet and peaceful, however, during the seasonal influx of holiday makers, the many Ballito accommodation options, excellent restaurants and nightclubs fill up, so early booking is essential. Chakas Rock / Shakas Rock - home to a beautiful stretch of sandy beach and a tidal pool bordered by rocky cliffs. Zimbali - this tropical golf estate lies nestled between pristine beaches and coastal forest. Westbrook Beach - a superb swimming beach renowned for its frequent visits from dolphins and whales. Tinley Manor - a truly relaxed holiday haven boasting some of the best spear-fishing reefs in the world. 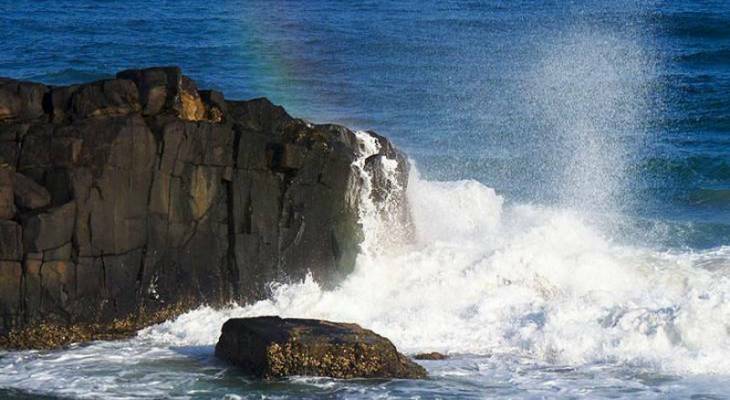 All of the above towns are only a stone's throw from the main Ballito beaches. Ballito Area overview. Ballito Area Accommodation and Information.